Looking for moving companies in Todmorden? Moving into a new home can be one of the most exciting experiences of your life. It is the start of a whole new chapter in your life and everyone concerned will undoubtedly be looking forward to the move. However, whilst the prospect of moving home is much anticipated it is also advisable to consider the vast amount of planning that is involved. By starting to plan for the move at a very early stage you can ensure that when moving day arrives it will be a relaxed and stress-free experience. One of the first things to consider is creating a check-list. When you have found out and agreed upon the date of the contract exchange you should start to plan every stage of the move itself. There are many things to include on your check-list. Some of the most common aspects involve notifying service providers about a change of address, evaluating your current furniture and possessions, planning the layout of your new home, sourcing boxes and packing the items and of course transportation. In Todmorden, moving companies can assist with the entire moving project. They can advise you as to how to plan your move together with how to pack and label your storage boxes. 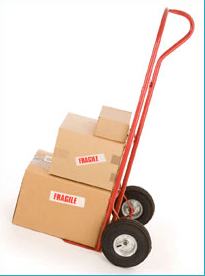 In many cases, moving companies will also provide packaging services. It is important to label all the boxes and produce a plan of your new home with an indication as to which box goes in which room. This will make the moving process a lot more efficient. Moving companies can also provide advice relating to ensuring that valuable items such as jewellery and important documents are kept safe during transit. Finding reputable moving companies in Todmorden can be achieved in a number of ways. Searching the internet and in the local press is a great way to start. Alternatively, ask family and friends. They may be able to recommend a moving company that they have recently used. Personal recommendations are a great indication of the quality of service that a moving company provides and of course you could always call Littleborough Removals, the reputable removal company in Todmorden. This entry was posted in Removal Companies and tagged Moving Companies in Todmorden, Todmorden Moving Companies. Bookmark the permalink.